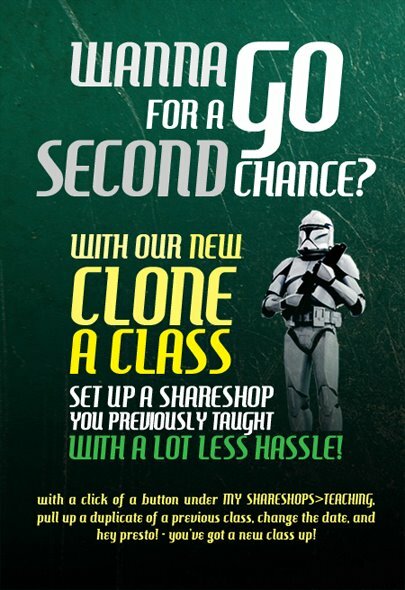 NEW FEATURE: Clone a ShareShop! Looking to repeat or conduct a similar ShareShop you have done previously? With our new Clone A Class tool you can duplicate a previous ShareShop, saving you the hassle of having to recreate a whole new ShareShop. Just go to My Shareshops on the top right corner -> Teaching and click the ‘Clone this class’ button below the ShareShop listing!